Stanley (Stan) Herbert Bendorf, age 71, of Fort Walton Beach, FL, passed away peacefully at home on Wednesday, January 23, 2019. He was born in Lancaster, WI on April 7, 1947. Stan was a resident of Fort Walton Beach over 65 years. During that time, he worked in his parents' businesses, Eglin Hwy Grocery and Vern's Auto Parts and Repair. He was instrumental in establishing Ocean City-Wright Fire Department. He purchased Vern's Auto Parts and Repair and remained the owner until he retired in 2018. He was a graduate of University of West Florida, and served in the United States Army for three years. He was preceded in death by his father, Laverne Bendorf. He is survived by his mother, Maxine Bendorf; wife of 25 years, Kathy; daughter, Natalie Klement (Chris) and son, Nathan Bendorf (Jessica); step-daughter, Suzanne Simler (Sean) and step-son, Jason Mykicz (Michelle); grandchildren, Ryan & Brandon Klement, Nathan & Lacey Bendorf, Wes (Katie), Cayden & Emylee Simler and Marina & Leo Mykicz; 1 great-grandchild, Delilah Simler; and sisters, Lois Ann Richards, Joan Graddy, Mary Lou Janocko (Terry) and Joyce Edwards. 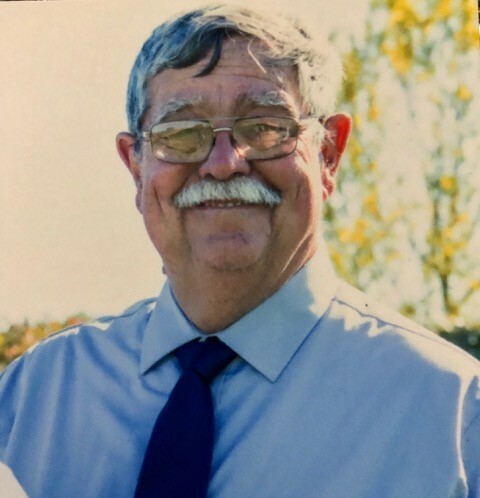 A time for visitation will be held at 10:00 a.m., Saturday, February 16, 2019 at Trinity United Methodist church with a memorial service following at 11:00 a.m. The family wishes to thank the doctors and staff at Emerald Coast Oncology.